Our UK operation has been trading for well over 20 years, in which time we have become one of the foremost innovators of drainage products which today integrate perfectly with the demands of an ever-changing market. At MEA UK we realise the importance of developing and maintaining an environmentally friendly portfolio of cost-effective water management solutions. With a national network of stockists, keenly supported by a professional sales team, MEA UK has successfully supplied materials to many a prestigious project, whether it be for Formula 1 race circuits, Olympic stadia, flood alleviation on major motorways or simply draining the parking areas of retail superstores. MEA employs in-house application engineers who can supply, FREE OF CHARGE, a full technical design service to ease the progression from project conception right through to installation and maintenance. MEA UK is able to provide engineers with a full, complimentary design service covering hydraulic calculations and layout drawings. 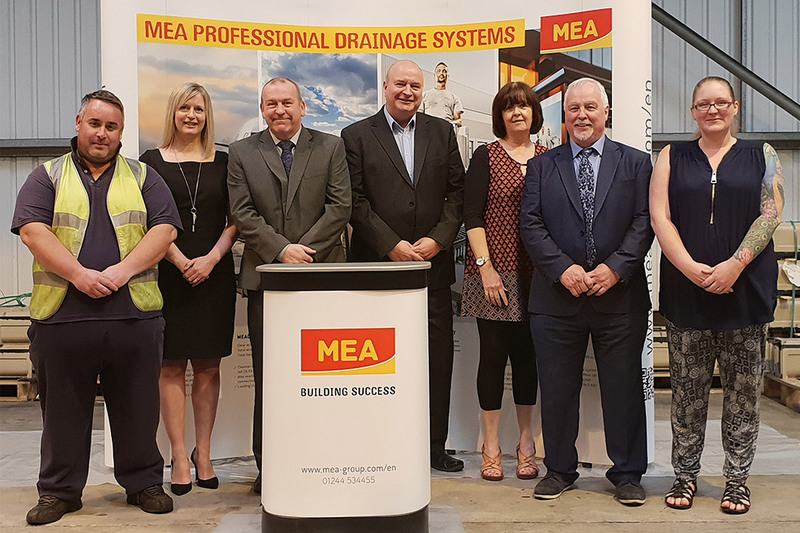 MEA UK is a leading national supplier of linear drainage systems. We offer a multi-material product range. Polymer concrete for the more traditional channel drainage installations. Glass-fibre reinforced polyester (GRP) as a modern, light and highly stable solution. Stainless and galvanized steel systems for areas where hygiene or aesthetics are important. The comprehensive MEA product portfolio enables us to offer the perfect drainage solution for every application and for all load classifications.